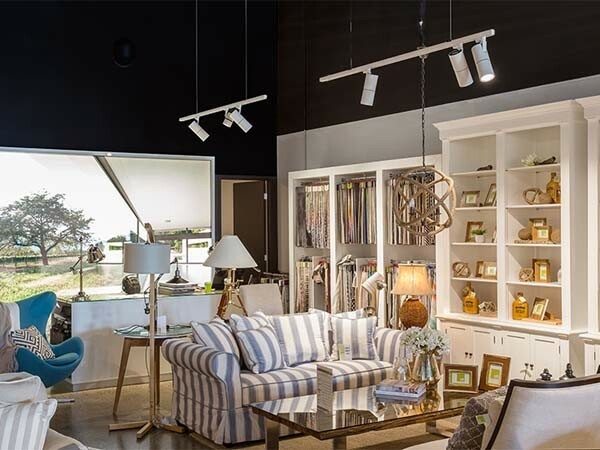 LED track lights from Aglo Systems were installed at Apartment Living & Style’s Bundall showroom on the Gold Coast. This project was the third installation by Aglo Systems for umbrella brand Robertsons Furniture. Aglo Systems was chosen for the installation as the client preferred the flexibility of track lights for stock displays that were regularly updated or repositioned. Aglo supplied LED spotlights from the ‘Hydra Mini’ and ‘Point Maxi’ ranges in a warm colour temperature of 3000K to provide a welcoming, homely ambience. Additionally, a high CRI90 accurately displays the vivid colours of the homewares in the showroom.